A healthy liver can increase your energy, give you clear skin, and even positively affect your mood and mind. 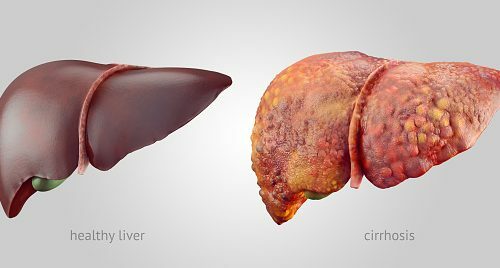 While it’s common knowledge that too much alcohol can damage your liver, we don’t often think about what promotes liver health. Below are four healthy habits to improve your liver’s function that will leave you reaping the benefits. Get in the kitchen. Choosing the right ingredients is only the first step toward eating better to promote healthy liver function. Avoid overcooking meats and adopt the “low and slow” method—meaning meats should be cooked slowly at a low temperature in order to avoid creating any potentially toxic byproducts that can wreak havoc on your liver. Charring and grilling at high heats as well as pan frying meats in chemically coated pans can also create these harmful byproducts, making your liver work harder and potentially causing damage. Manage stress. Chronic stress can affect your endocrine, reproductive, digestive, and immune systems, and may cause an increase in inflammation that negatively affects your liver. Learning to cope and manage stress properly may reduce inflammation and, in turn, potentially reduce the risk of liver damage. Simple ways to enhance your liver function include eating more anti-inflammatory foods, preparing these foods properly, learning to manage stress, and exercising regularly. Follow one or more of these tips in order to better the health of your liver and experience benefits like clear skin and increased energy.